Tags: Live band recording, Songwriting tips. 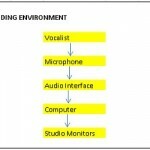 This guide is applicable to independent musicians and bands when recording their songs in a recording studio. This is an important checklist to follow when you are having a recording project. This will ensure that you will get the most out of the project, save time/cost and none of the critical aspects would be missed. 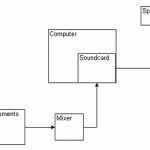 This is based on my years on experience recording music and doing actual observations. This checklist is best administered by the band leader or producer which is usually one of the band members if the project is self-produced. Checklist#1: Are you fully rehearsed? Most artist and bands in the independent music scene does not hire producers and instead they produce their own songs and recordings. They do their own songwriting, arrangement and scheduling/financing a recording project. One of the crucial things is to be fully rehearsed before going to the studio. This means full mastery of the tracks to be performed and recorded. 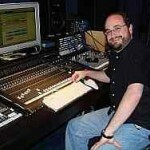 For example, the vocalist should ensure that all potential mistakes in the vocal tracks are corrected before recording. Or the lead guitarist can perfectly play the solo from start to finish. This requires hours and even days of regular practice! 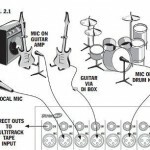 This is also applicable to back up vocalist and additional musicians, make sure that each musician are aware that everything is perfect before going to the studio for a recording. Sadly, there are musicians that missed this aspect and will do lengthy rehearsals inside the recording studio. As a result, the tracking session is a mess because the musicians are not fully prepared. Remember that you are paying per hour when renting a studio so make sure you are fully prepared. Checklist#2: Have you finalized the song arrangement? 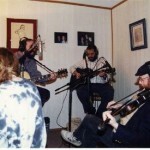 It starts with the songwriters (it could be members of the band) writing the first version of the song. 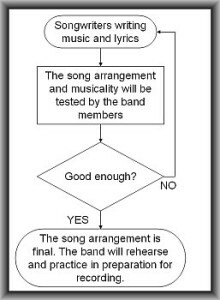 It will then be performed by the band to test the quality of the arrangement. If it does not sound good, it will be rewritten until it sounds OK. This should not be done during the actual recording. Finalize this before going to the studio. Checklist#3: Are all instruments and accessories ready? 1.) Guitarist checking the battery status of their gears; or bringing extra battery in addition to the power adapters in case of accidental malfunction. 2.) Vocalist and backup vocalist printing the lyric sheets in advance. 3.) Drummers making sure their drum sticks work or in good condition. 4.) Checking for serious tuning problems in case of guitar strings and replacing faulty strings days before actual recording. This may sound self-explanatory and common sense. 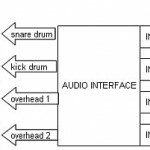 But I’m amazed at the amount of time that is lost in the recording studio because of these mistakes. Checklist#4: Have you fully booked with the studio? You should contact the owner of the recording studio and book for the schedule days or even weeks before the actual recording. If you are not yet sure which studio to record, spend some time looking for recording studios suitable for your band; consider other important aspects such as the gears, engineers and the rate of the studio. Get some recommendations from other bands and get their honest opinion about the studio. 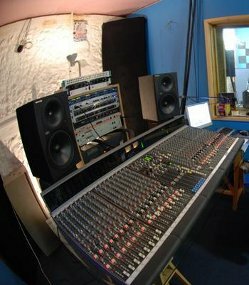 If you are doubtful about the quality of their recording gears, you can visit the studio in advance and examine their live rooms, control rooms, amps, drum sets, microphones, etc. And possibly get some sample recording from them. Make sure that their gears are complete for your band needs. Visiting the recording studio in advance can be a very important requirement for recording album projects where you will be spending a lot of time in the studio. Finally, you need to book your band with the preferred recording studio. Make sure you confirmed that this booking/schedule is final to avoid mishaps.